Where did you hear this news? Or are you pulling my leg? 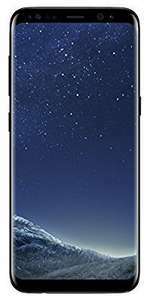 Amazon prime price is £644 for S8 bundle. It's amazon market place not amazon direct. I seen it at this price for a while from market place. I personally would only trust buying it direct from Amazon or a mainstream retailer. It's amazon market place not amazon direct. I seen it at this price for a …It's amazon market place not amazon direct. I seen it at this price for a while from market place. I personally would only trust buying it direct from Amazon or a mainstream retailer. Thanks for the info arnie, I was wondering why it was getting colder for a good price from Amazon. I had no idea there is so many different Amazon sections. It doesn't matter, if there is any problem with item amazon will step in and sort out the problem. I had problem with smartphone and seller just ignored return request so amazon refunded me. It doesn't matter, if there is any problem with item amazon will step in …It doesn't matter, if there is any problem with item amazon will step in and sort out the problem. I had problem with smartphone and seller just ignored return request so amazon refunded me. No they won't always. Not if it's marketplace. Look on the amazon Italy and Germany website for this phone. So many complaints people are getting empty boxes sent out and amazon are not refunding the money. Not fulfilled by Amazon.Amazon prime price is £644 for S8 bundle. No they won't always. Not if it's marketplace. Look on the amazon Italy …No they won't always. Not if it's marketplace. Look on the amazon Italy and Germany website for this phone. So many complaints people are getting empty boxes sent out and amazon are not refunding the money. who cares about Italy or Germany?